Hi, hope you're enjoying your Saturday. Crisp and cold here today, but the sun is shining so it makes you feel better just seeing the sun. Today's card is for the challenge at Sassy Cheryl's. This week, the challenge is "Something New". This Sassy Cheryl's image is new for me. I love the sheep on wheels, don't you! 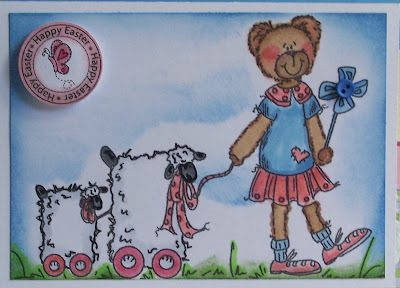 EWE are soo right - this is utterly CUTE! Awwwww, so adorably cute!!! That is one sweet image and I love those soft, spring colours!! The Falls look fantastic!! Hope you are getting a mighty nice weekend and enjoying the heck out of it!! Oh it is spring at the falls! Darling card and so love this image and esp how you did the sky! 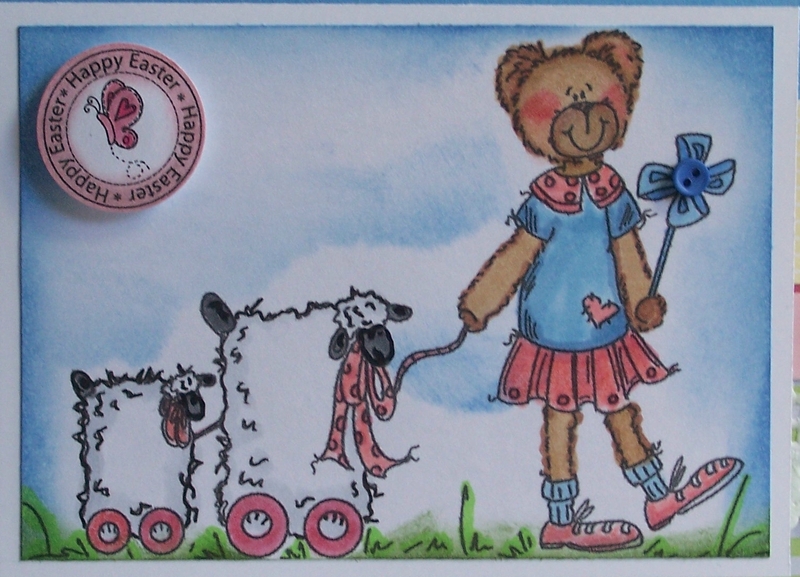 Hi Sue, ohhh your card put big smile on my face, so cute and happy card, love the layout! I love the sheep on wheels too. 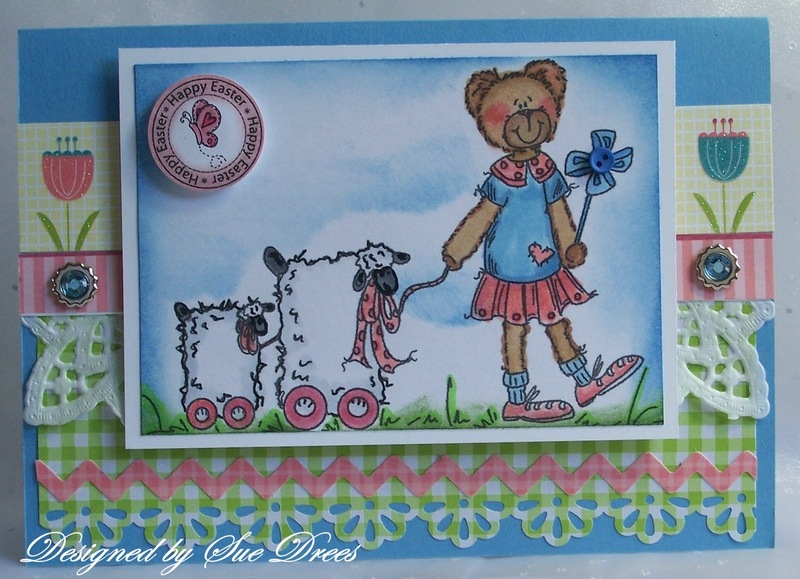 Love the colors and how you colored that cute image, beautiful card! Ewe really are so cute! Lovin the papers, punches and layout of this card. Sets off the image perfectly. adorable image, pretty colors, fab coloring. fun button.